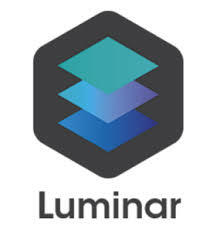 Find here Luminar 2018 coupons and vouchers! Luminar is the fastest, easiest, and most affordable universal image processing software made for anyone. It helps photographers easily get fantastic results from their photos in less time. It is a full-featured photo editor for Mac and PC. It brings over 300 robust tools and features, including the proprietary RAW engine for fast image processing, layers and masking, over 40 smart photo filters with custom adjustments, presets and a lot more. Luminar 2018 has an innovative user interface, that photographers can adjust/customize based on the style of their photography, skill level and preferences. This makes Luminar a highly personalized photo software tool, suitable for photographers of all skill levels. Luminar was honoured with a TIPA award for Best Imaging Software 2017 and won the 2017 Best Software Plug-in at the Lucie Technical Awards at PhotoPlus Expo, NYC. Find now your perfect deal and save money!